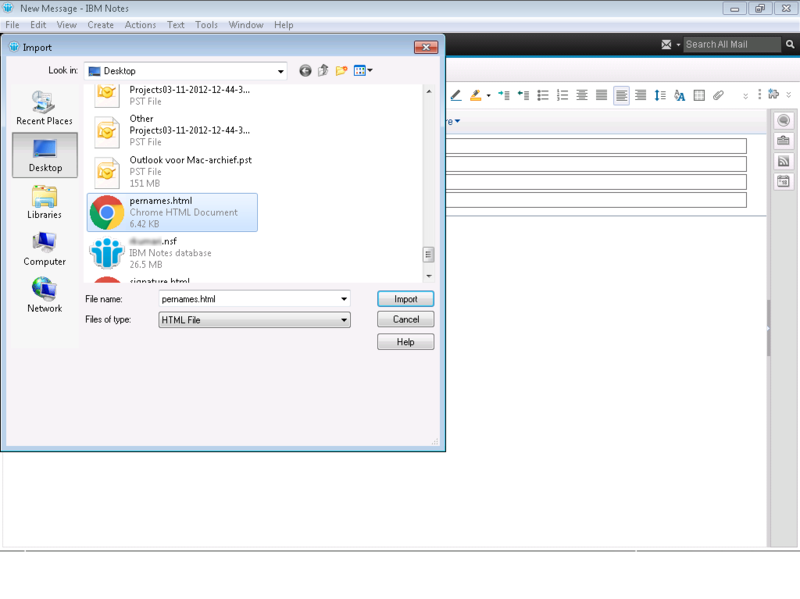 Import HTML page in Lotus Notes? 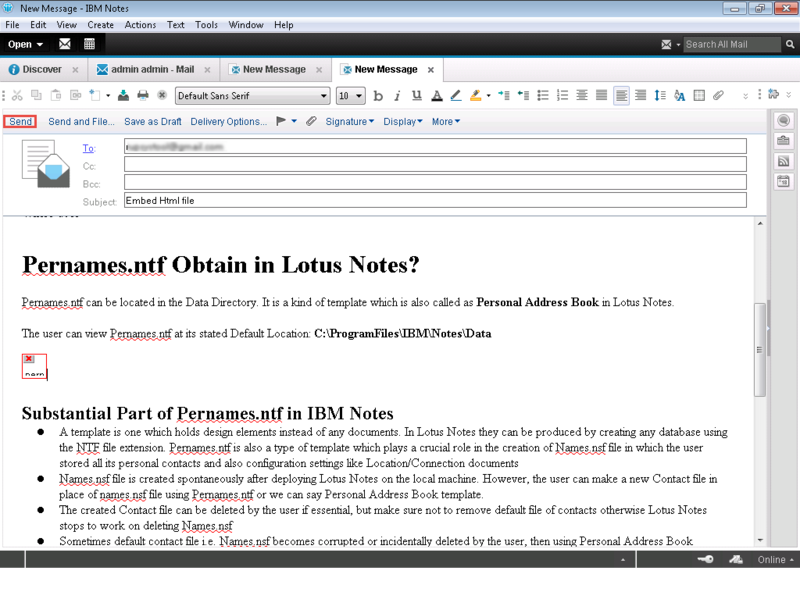 Lotus Notes is a well-known office and collaboration software program. It supports many functions like emails, instant messaging, calendars, web browsing, project management and much more. 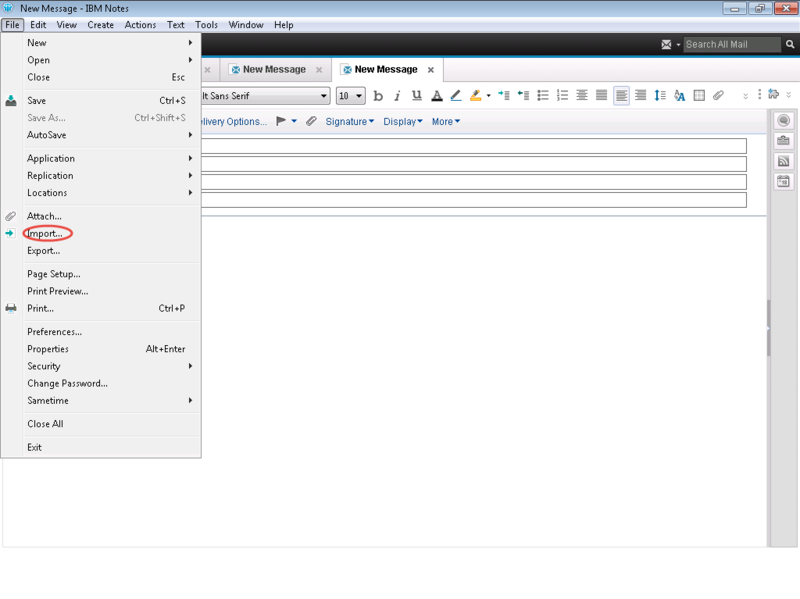 First, save a web page which you want to send via email in Lotus Notes. Press Ctrl + S and save the page with .htm or .html extension. 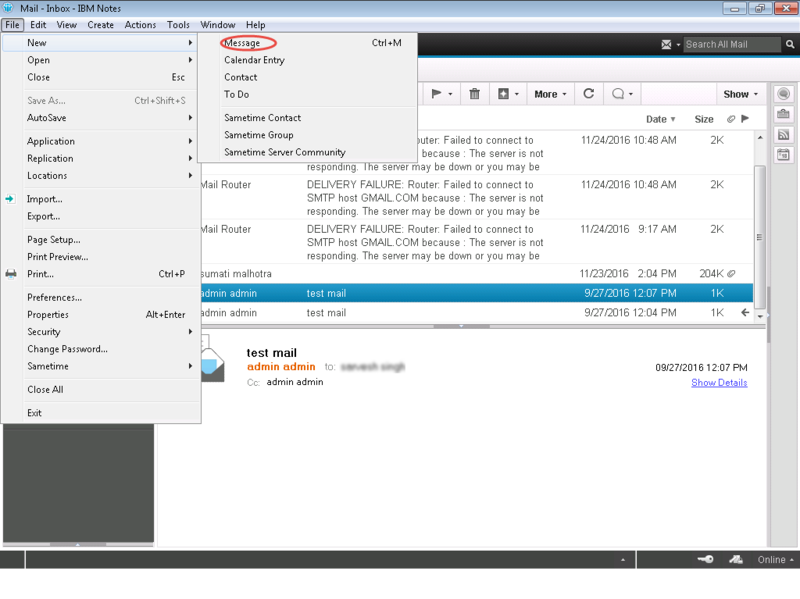 To create a new mail, click on File tab from the top and then click on New then tap on Message. Then again click on the File tab and then click on Import from the drop down menu. Browse and Double-click the HTML file you want to send then click on Import. On the basis of the Lotus Notes compatibility, the HTML page renders in the mail. Otherwise, it may appear in an improper way. Now you will see that the entire content of HTML page is pasted in the message space. It will show the preview of the imported page. 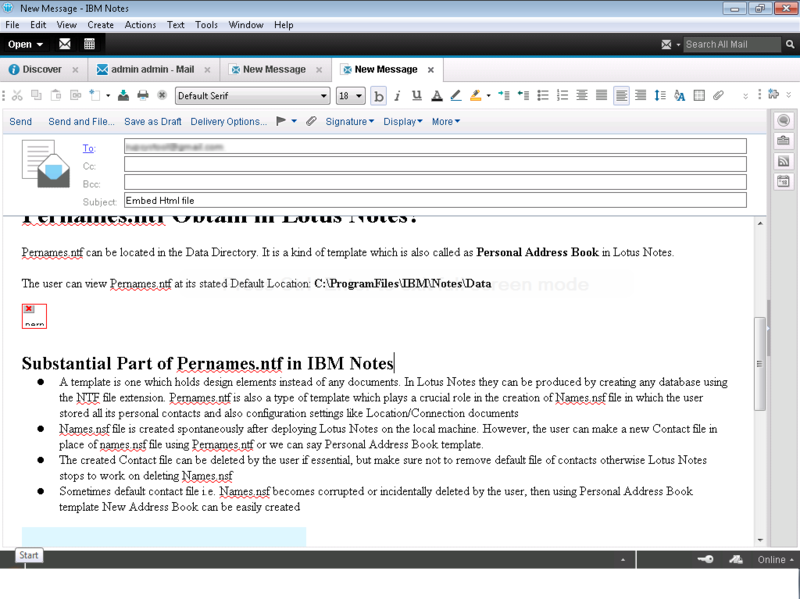 At last click on Send after composing and addressing email to the recipient.